If you’ve ever known someone who has suffered from a stroke, you know that some of the symptoms can be quite visible. Now that you are a health care practitioner, you must know even more about this potentially devastating health event so that you can provide the best quality of care and the fastest help possible to your patients. The best way to get the knowledge and experience you need is to take part in ACLS training. This class will include training on the ACLS Acute Stroke Algorithm, which is the pathway you’ll follow if your patient has a suspected stroke. What you’ll notice first when you take a peek at the algorithm is that there are many time goals listed along the side of the pathway. Just like all of the algorithms, time is of the essence when it comes to quality of care. Even though your patient most likely is still breathing and still has a pulse, you must continue to work through the pathway quickly so that the patient can receive tPA within one hour of arrival at the hospital if appropriate. To begin, you must be able to identify signs and symptoms of a stroke at a moment’s notice so that you can recognize them in your own patients. Strokes often happen when you least expect them to and may include the following symptoms. If your patient presents with some of those symptoms or if you’re working in the emergency department and admit a patient presenting in that way, you must immediately begin following the acute stroke algorithm. Begin by determining the exact time that symptoms began. In addition, check the ABCs, which include the airway, breathing and circulation, and support them if necessary. The patient may also need oxygen delivered and should have a preliminary glucose reading done to rule out other possible conditions. Next, you’ll complete a more general neurological assessment. If your patient is being transported to you from outside the hospital, this assessment must be completed within 10 minutes according to the algorithm. You must continue to monitor the patient’s vital signs closely while also starting an IV and filling out a neurological screening. In addition, complete a 12-lead EKG, and order an emergency CT scan. By now, the stroke team should have been contacted. The stroke team is usually made up of several individuals throughout your facility, including an ER doctor, a neurologist, nurses and possibly even radiologists and respiratory therapists. This team will provide further assessments, and your only job will most likely be to support the team with their needs. The next step is quite important because it will determine the major course of action that you’ll take to preserve your patient’s life. You and the stroke team must now determine what type of stroke the individual had. With a hemorrhagic stroke, there’s an area of bleeding in the head. However, with an ischemic stroke, there’s no bleeding, but instead there’s a clot blocking blood flow to the brain. 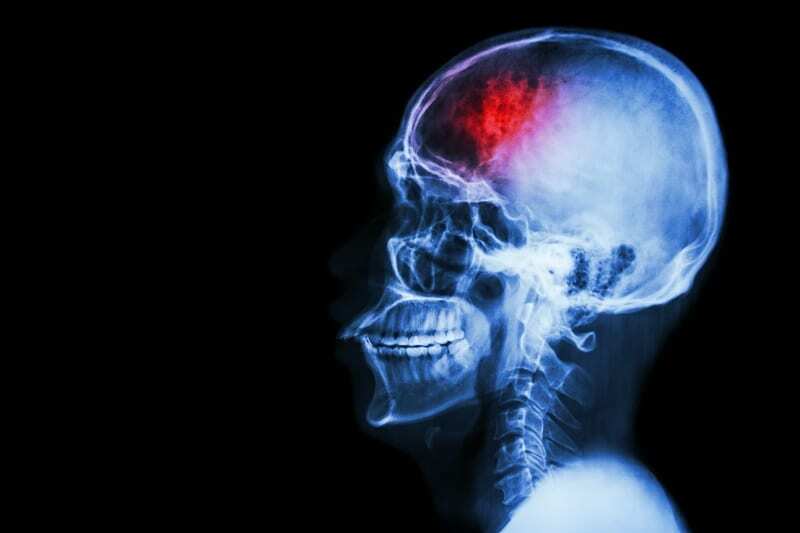 An ischemic stroke requires a clot busting drug, called tPA, to be given within 60 minutes of admission to the hospital or from the start of the algorithm if the patient was already at the hospital. From this point on, you’ll continue to treat your patient according to your hospital’s plan of care for stroke treatment, following either the hemorrhage pathway or the post-tPA pathway. Research has shown that the first 30 days following a stroke are the most important for regaining body functionality and quality of life. Because at least five of these days will most likely be spent in the hospital, it’s vital that you provide expert care to these patients, setting them up for the most successful recovery possible. ACLS training can make all the difference between life and death in emergency situations. Take the time to get the training you need to competently save lives. We provide ACLS initial certification and ACLS recertification courses at our Oakland and Sacramento campuses. Contact us today or visit our course pages to get more details.